Hi Everyone! 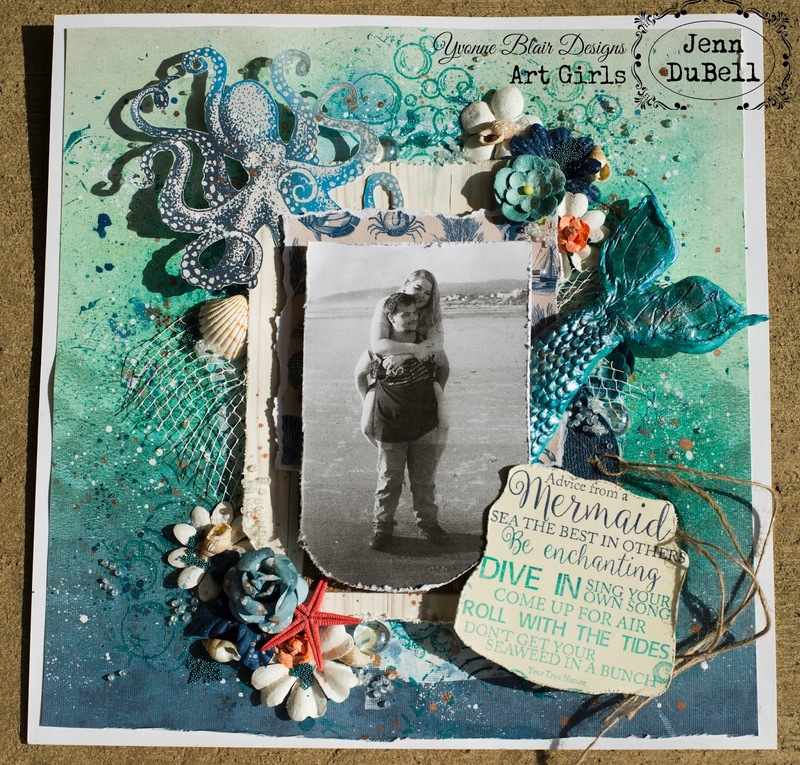 Check out this amazing layout from Jenn!!!! Fabulous! I'm in love! What a beautiful way to share such a special occasion! Thanks Jenn for your inspiration! Hello there! My daughter recently married and honeymooned on the Oregon Coast and it was absolutely beautiful! A day that was supposed to be drizzley and dreary turned out to be sunny and dry at just the right time! This stamp in my mind just suited the occasion and inspired this entire layout along with the beautiful day in the picture! The stamp featured can be purchased at Impression Obsession here. 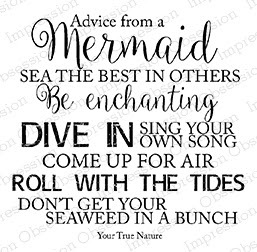 Click on image above to go directly to stamp for purchase. To Prepare the stamp I used a trio of versaMagic chalk ink in hues of aqua and blue and then embossed with iridescent embossing powder. For this layout, I started with a 12X12 sheet of patterned cardstock in an ombre look. Next, I added a thin layer of white gesso with an old card, scraping it to keep thin. I used an Art Anthology stencil with texture paste and then added various ink colors in hues of blue and teal. 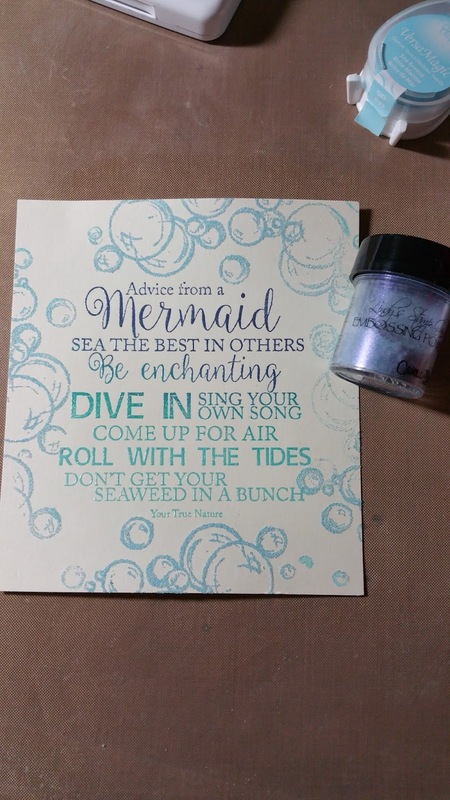 I used embossing ink and a bubble stamp to create the bubbles with an iridescent embossing powder by Lindy's. I added splatters of the same blue inks as well as a copper and white. I built up my image with various coordinated papers torn on the edges. 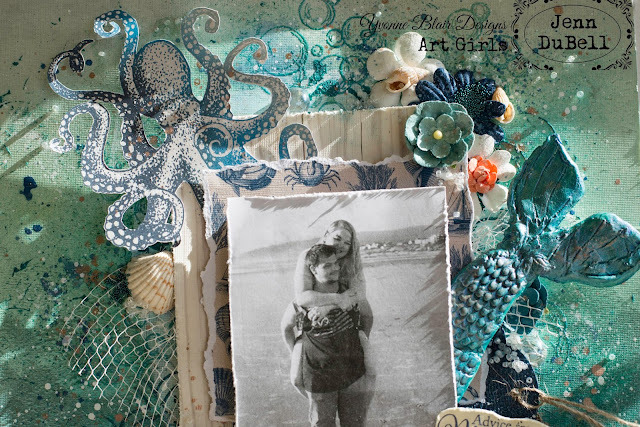 I added a fussy cut octopus, some netting painted with white acrylic, shells, a couple of tags with jute string, a mermaid tail hand molded, flowers, and some microbeads! All of the stamps created by Yvonne are amazing and every one of them inspires something!I hope this project has inspired you to go get some and create something beautiful!! Thank You for viewing my project! Please share what you make using #YBArtFun! What a beautiful page! It's a beautiful remembrance of a special time. 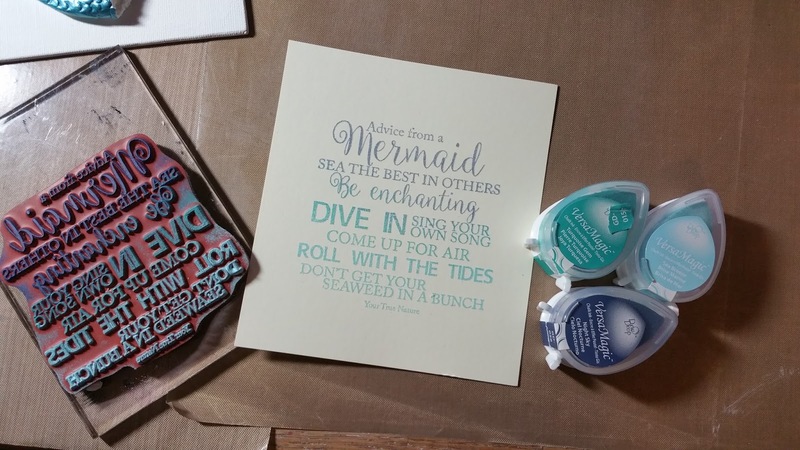 what a great layout - love the variegated stamping on the sentiment!